What is the perfect temperature for dabs? There has been a huge trend leaning towards lower, slower temperature for dabs as more research has been done on the burn rate of the complex cannabinoid system. The lower temperature for dabs allows the combustion of terpene profiles to elevate and produce a stronger, more vivid flavor profile. The downfall of a lower temperature for dabs and concentrates is that it won’t create a massive cloud, but if you are an experienced user that appreciates full flavor then a slower, lower temperature is ideal. 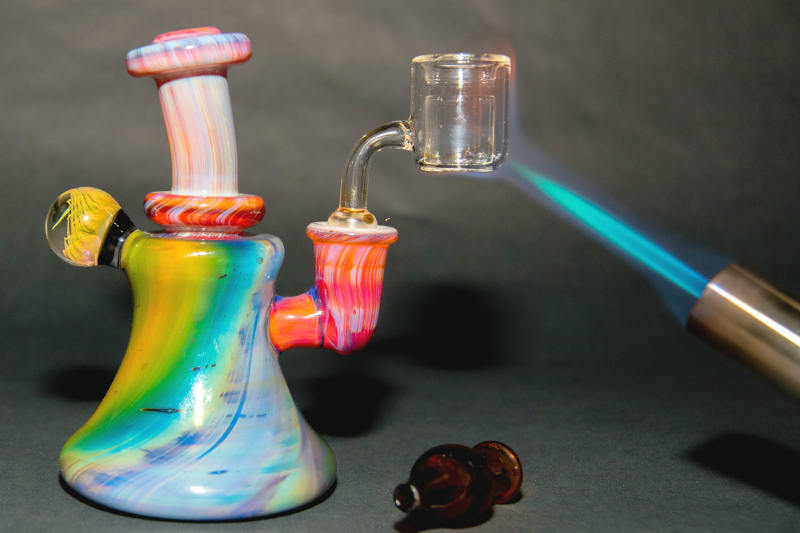 As opposed to low temperature for dabs, more traditional rigs and consumption is done through high-temperature combustion. This is usually hit when the bowl or dome reaches between 600°F – 900°F (315°C – 482°C). The benefits of a higher temperature for dabs is that you’ll get a much thicker, more robust cloud. The downfall is that you sacrifice flavor, and hits can be much harsher. It’s also been shown to elevate the effects of concentrates, so if you’re a heavy user that wants to get a good bang for your buck, high-temperature dabs can achieve this effect. The temperature you set for dabbing your concentrates solely relies on your personal preference. If you like seeing the fruits of your labor in thick milky clouds then higher temp dabbing is for you. If you like to enjoy flavor expressions and the complex terpene profiles from different strains, then low temp dabbing is the route for you. With traditional dab rigs, accurately heating your bowl or dome can be extremely hard. Heating your rig with an open flame blowtorch is hard to get a precise reading. 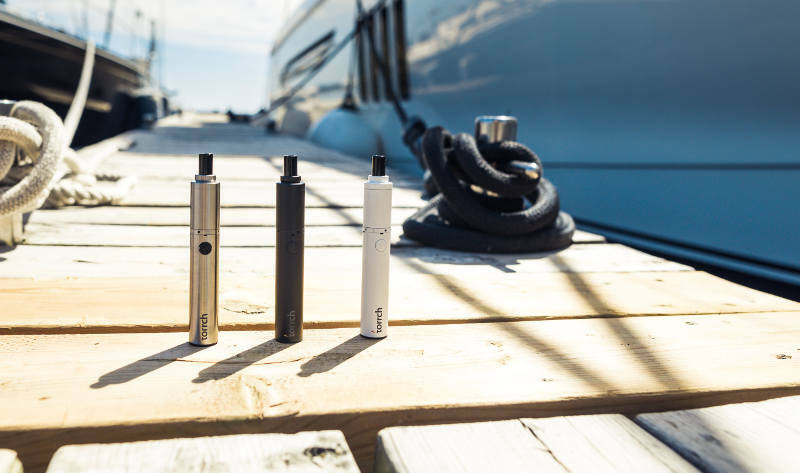 With innovative technology getting stronger within the cannabis vape industry, more accurate temperature readouts are becoming ubiquitous. A good example is with the Torrch portable dab rig. With 6-second slow burn technology, the battery communicates with the ceramic bowl to heat up at a slower, lower temperature for the first 6-seconds (315°F – 450°F or 157°C – 232°C). After that time, the bowl heats to a medium to high heat (600°F or 315°C). This temperature range allows a great balance of bringing out full terpene profiles, while also delivering a nice cloud when drawn for 6-20 seconds. If you are looking for a full experience dab rig, the Torrch delivers on all fronts.